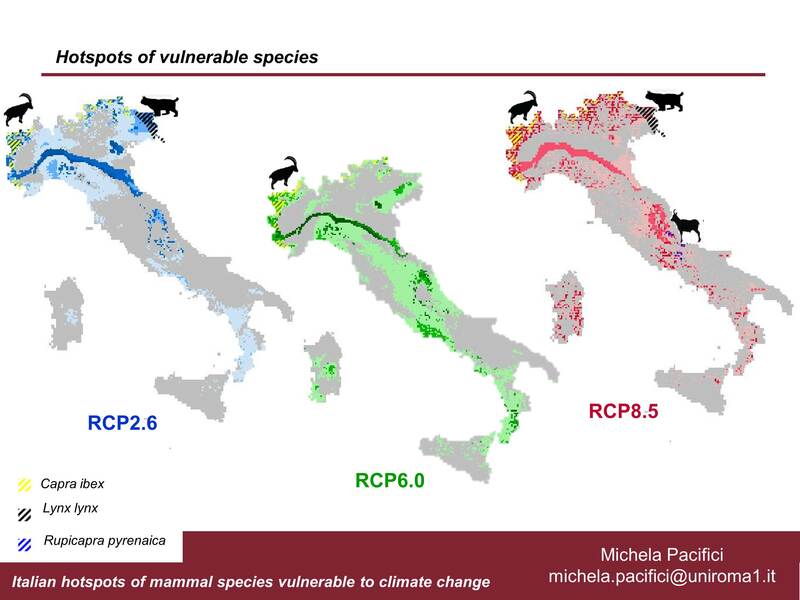 Gaianews.it interviewes Michela Pacifici on the vulnerability of Italian mammals to climate change. List, we propose a mixed strategy of online reassessments and budget growth. We show that largely replacing workshops with online consultations is a more sustainable strategy that would save U.S. $2.8 million per year (35% of the budget). Sharing the cost of such a strategy among Organization for Economic Co-operation and Development (OECD) countries (U.S. $156,000 per country per year) would ensure that the multimillion dollar spending based on the Red List remains effective in the long term. Global Mammal Assessment lab @ ECCB 2012 – participation and outcomes! This year the European Congress on Conservation Biology was held in Glasgow, Scotland (28 August – 1 September). GMA lab members participated with enthusiasm, 9 people from the lab were present, all of them co-authoring one or more contributions. 1 Symposium: Visconti P., Rondinini C., et al. 1 Roud table: Rondinini C.
2 finalists of the Student Awards competition: Baisero D., Di Marco M. (3rd prize awarded). A travel grant from British Ecological Society to attend ECCB 2012 (awarded to Di Marco M.). Overall ECCB 2012 was a great occasion for us to present part of our recent work to the international conservation community; it gave us the opportunity to meet some of our collaborators and to expand our collaboration network, as well as to meet a lot of friends. 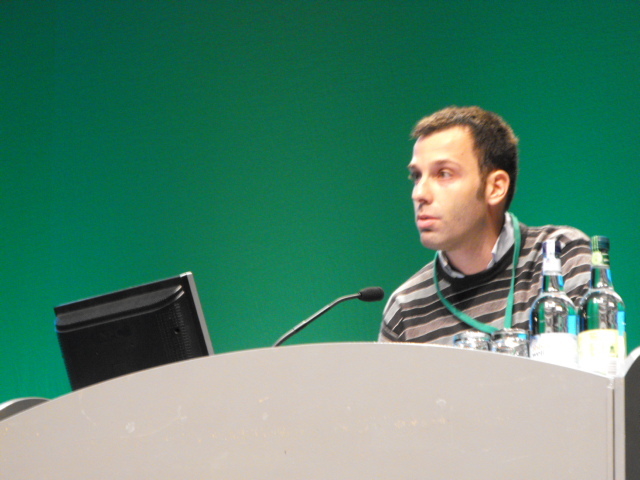 Piero Visconti presenting at ECCB 2012 Glasgow. Our recent paper on global mammal extinction risk reduction has just been published! Di Marco, M., M. Cardillo, H.P. Possingham, K.A. Wilson, S.P. Blomberg, L. Boitani and C. Rondinini, 2012. A Novel Approach for Global Mammal Extinction Risk Reduction. Conservation Letters, 5(2): 134-141. download it! Abstract. With one-fourth of the world’s mammals threatened with extinction and limited budget to save them, adopting an efficient conservation strategy is crucial. Previous approaches to setting global conservation priorities have assumed all species to have equal conservation value, or have focused on species with high extinction risk, species that may be hard to save. Here, we identify priority species for optimizing the reduction in overall extinction risk of the world’s threatened terrestrial mammals. We take a novel approach and focus on species having the greatest recovery opportunity using a new conservation benefit metric: the Extinction risk Reduction Opportunity (ERO). 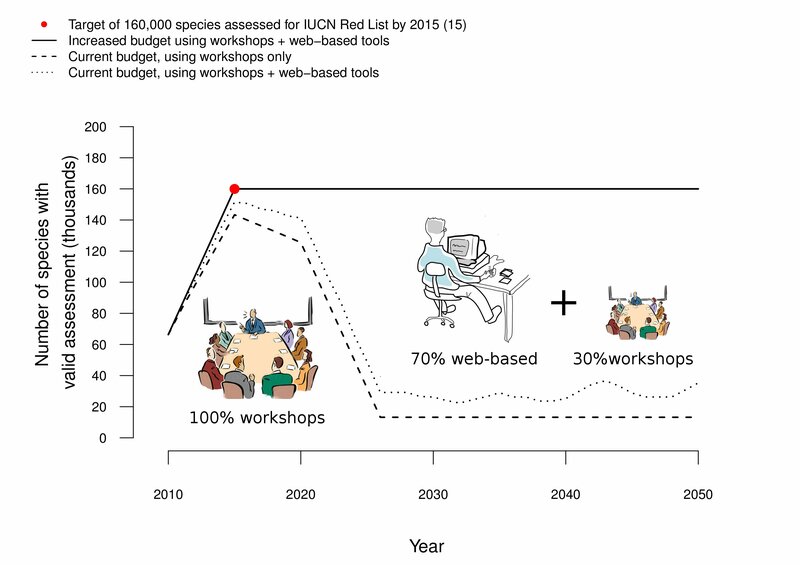 We discover that 65–87% of all threatened and potentially recoverable species are overlooked by existing prioritization approaches. We use the ERO metric to prioritize threatened species, but the potential applications are broader; ERO has the potential to integrate with every strategy that aims to maximize the likelihood of conservation success. 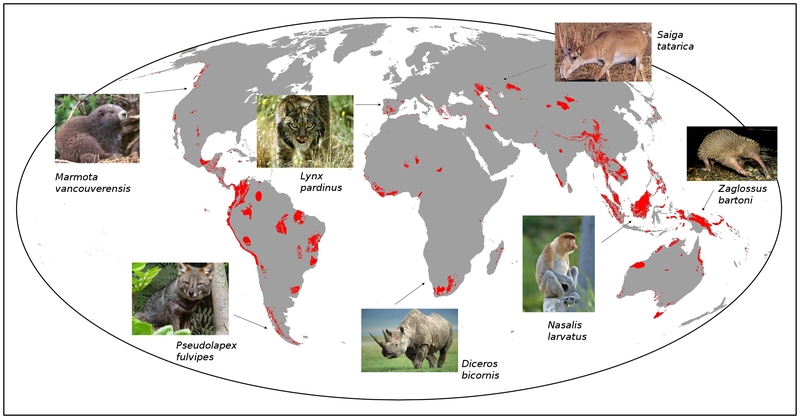 Priority areas for global mammal extinction risk reduction, with a few example species. Enciclopedia Italiana Treccani web portal interviews Carlo on global biodiversity decline (in Italian).